“Adventure, excitement. 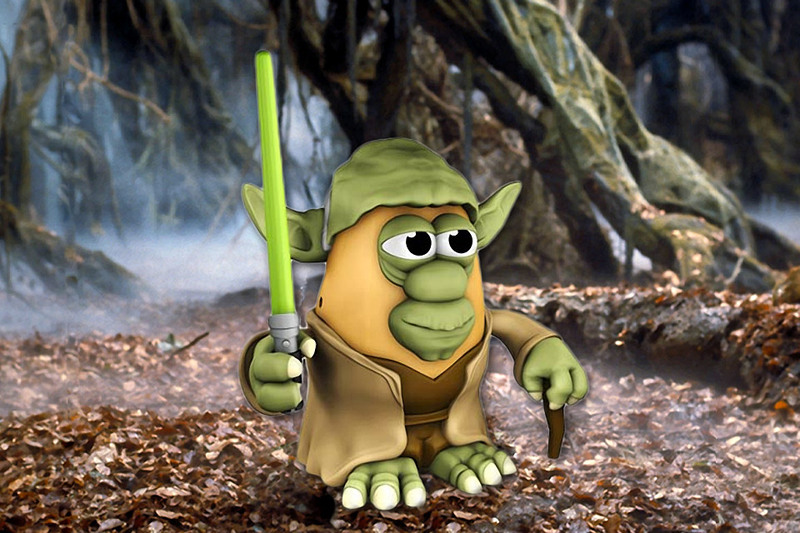 A potato craves not these things.” We’ve got to have one of these Yoda Mr. Potato Heads for our collection. Standing about six inches tall (about standard for a Mr. Potato Head, we think), this Yoda comes with a green lightsaber and a tiny walking stick. Available for pre-order now on Entertainment Earth with delivery expected in September.